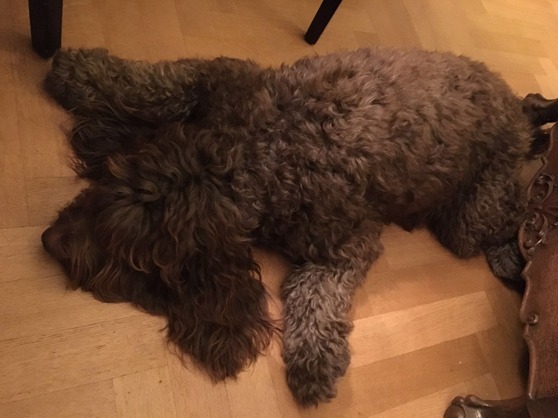 This is how relaxed Moët was last night while we were having dinner at a friends house. They even have two active and super sweet labradors that were circling around her and Yatzie. My dogs always lie down just by or under my chair when we are away. 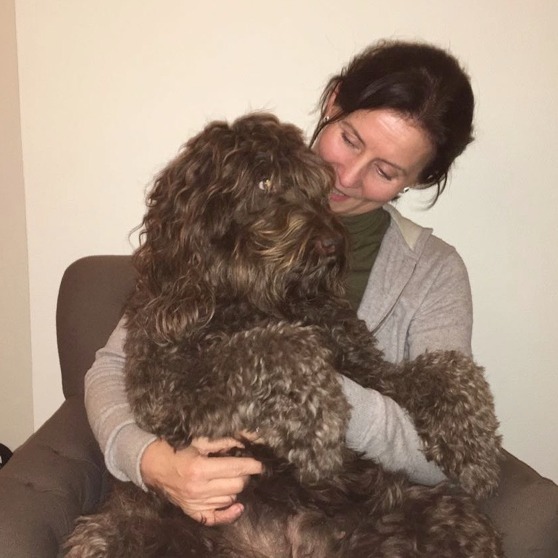 From time to time Moët also wants to sit on my lap. That is just fine with me!